Sam and Jade become friends, which makes Cat jealous, so she makes friends with Freddie Benson. Then Sam, makes friends with Robbie and she has to jump over a tank full of vicious man-eating tunafish with her motorcycle. Sam and Cat begin to notice that their friends are obsessed with a new phone game; the audience is distracted at Cat's one woman show. Cat invents a holiday so she can buy gifts for everyone; Cat snoops to find out what other people's gifts are. Cat finds an ATM that gives away money. 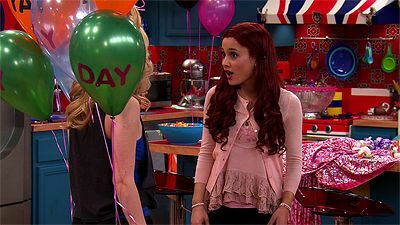 Sam and Cat try to get the word "lumpatious" into the dictionary after making a bet that it is a real word. Gwen and Ruby return and drive a wedge between Sam and Cat. 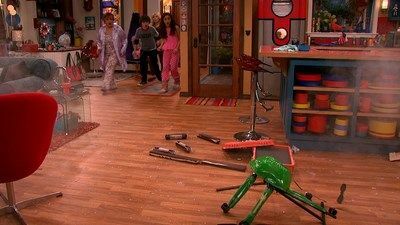 Sassy Sam Puckett (Jennette McCurdy) and eccentric Cat Valentine (Ariana Grande) buddy up as roommates after Sam rescues Cat from a garbage truck. Sam, Dice, and Goomer go to a mixed-martial arts fight, leaving Cat at home to study. Sam's motorcycle goes missing. Cat loses her memory. Nora targets Dice as a way to get revenge on Sam; Sam and Cat are forced to ask Nevel for help. Cat plays a trick on Sam. Sam and Cat confront a competing babysitting service when they post bad reviews about Sam and Cat's babysitting service. Cat persuades Sam to enter a texting competition where she faces off against a sweet boy with domineering mother. Dice attempts to dodge his annoying old pal. Dice enlists the help of Sam and Cat to convince Goomer's mother that Goomer is a high school teacher. Sam eats all of the meatballs that Cat has prepared for a special Moon Dinner; Cat becomes obsessed with finding the match to a shoe. Sam opens a safe in her bedroom and discovers a tunnel leading to a secret room. Cat films herself for 24 hours. The girls start making their own version of their favorite soda pop and start selling it, but the authorities knock on their door soon. Sam and Cat attempt to save their favorite TV show from being cancelled while babysitting two boys. A client compliments one of the girls, but Sam and Cat aren't sure to whom he was referring, so they get competitive and try to outshine each other as babysitters. Sam and Cat agree to babysit Goomer while Dice is away; Goomer loses his eyesight before a big match. Sam and Cat babysit two British girls. Sam tries to fulfill a community service requirement at Elderly Acres. Sam and Cat are ordered to rename their babysitting business. 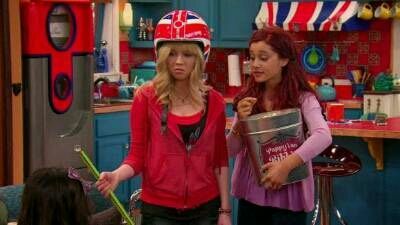 Sam and Cat encounter problems when they try a new drone delivery service online. 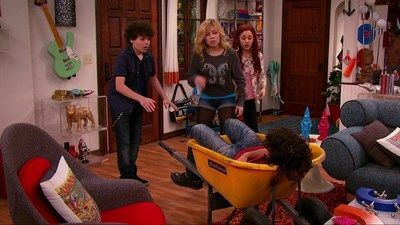 Sam and Cat try to avoid getting in trouble when they accidentally knock out musician Del DeVille. Sam and Cat make a commercial for their business that features Dice's dog. A family claims that Dice's dog belongs to them.